Parts used: all most all parts are edible like roots, stems, seeds etc. Stems are used for making vegetables too. Uses: This oil can be used to reduce blood pressure. It can be used as a good additive in pickles, Bloody Mary and casseroles. This is normally found in Levant (also popular by the name of eastern Mediterranean), southern Europe and even in Great Britain too. It is typically Eurasian (Europe+ Asian). It is generally a crop which can bear mild weather; it means it can't bear too high or too low temperature. It also needs a good rainfall and can be grown anywhere even in your backyard, where its specific growing needs are fulfilled. Celery plants are harvested when they grow till the length of a foot or more. If we talk about the storage, then they are good till seven weeks and the temperature needed is above 32 degree to 36 degree Fahrenheit or zero to two Celsius. These should be handled with care. These plants were noticed firstly in the festoon of the tomb of Pharaoh (King named Tutankhamun). Dead bodies (mummies) of great kings were preserved and garlands were also kept with the eatables, it was assumed that they will help them in their journey to the next world. However these plants grow wild so it is hard to believe that these were cultivated or grew wild by own. It is also described in Homer`s Iliad, while horses were grazing wild celery grass, so innumerable references are there in history. 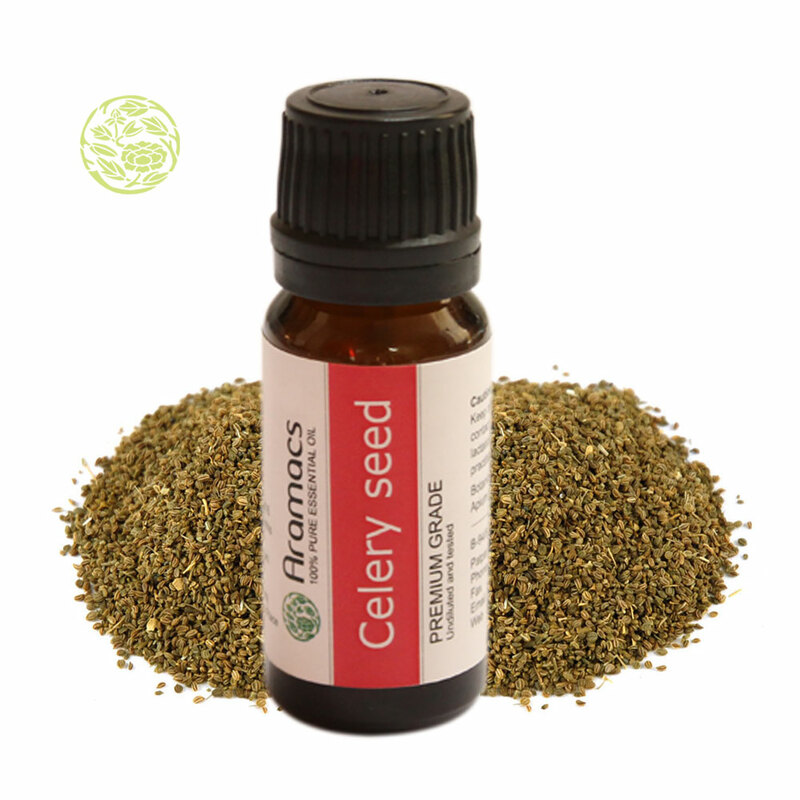 Celery seed essential oil is prepared from the seeds of celery. Celery seeds are great food enhancers and are gray-green in color with a bitter and spicy taste. The oil is extracted from the seeds by collapsing and crushing them and after that using the distillation method. The oil extracted are in two varied forms the lighter one and those that are heavier in nature. Celery Oil is aromatic oil and can be used to bring about an enchanting flavor in foods and increases its taste. There is an active element present in the celery plant which makes it quite distinctive among the other herbs. It is used as a diet control and keeps you healthy. Critical diseases like asthma, stomach cancer, bronchitis can be cured by mingling it with other useful herbs. It also controls blood pressure. It is also used to remove urinary infections. It can be used as a good spice in pickles, casseroles and Bloody Mary. 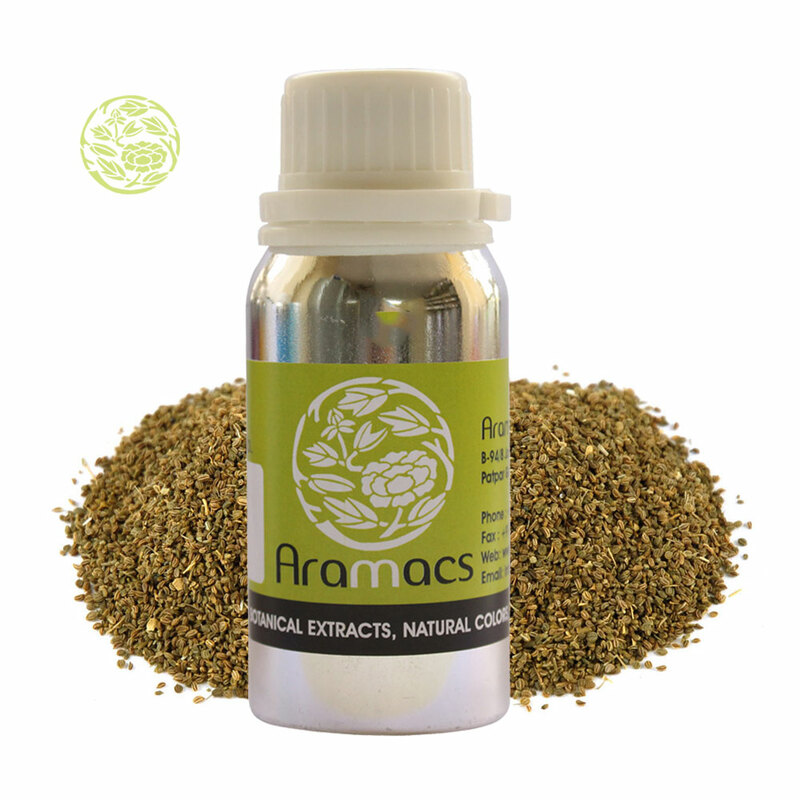 It is great stimulant and has a calming effect on the body.